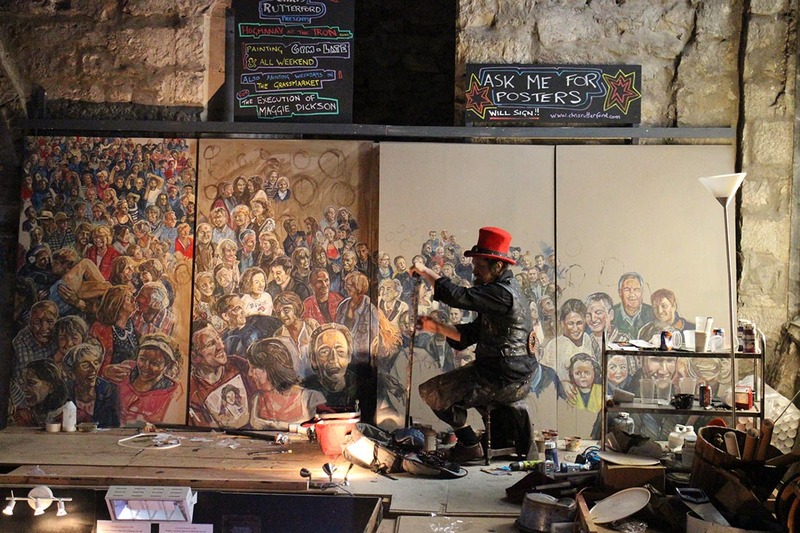 During the 2013 Edinburgh Festival I was the artist in residence in the Tron Kirk, a 17th century church which for the residents of Edinburgh is traditionally the focus of the New Year celebrations. 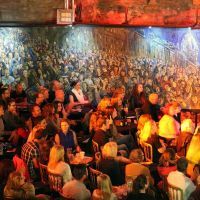 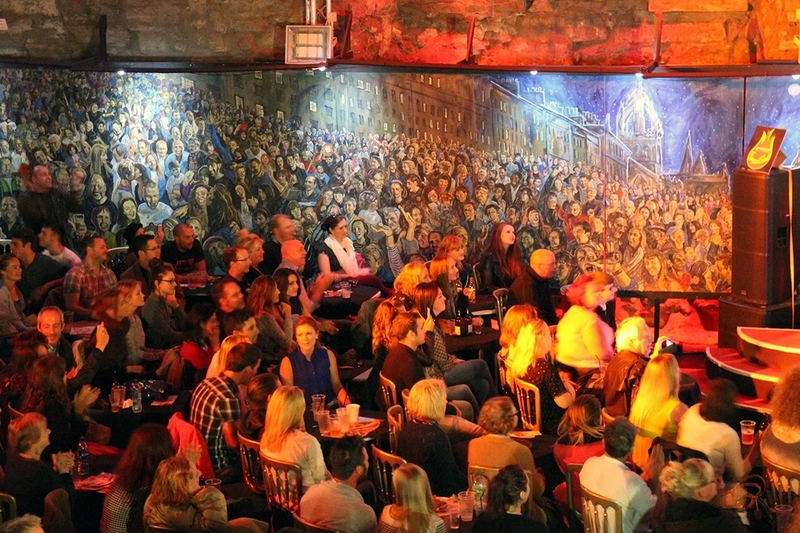 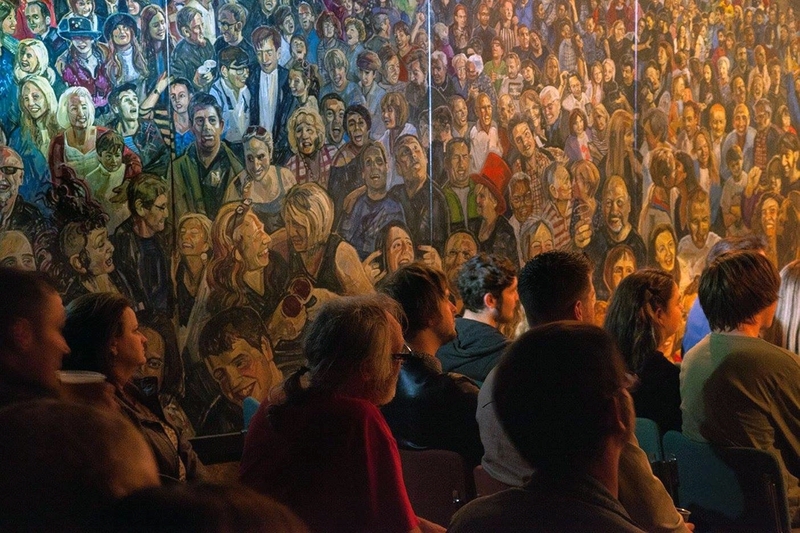 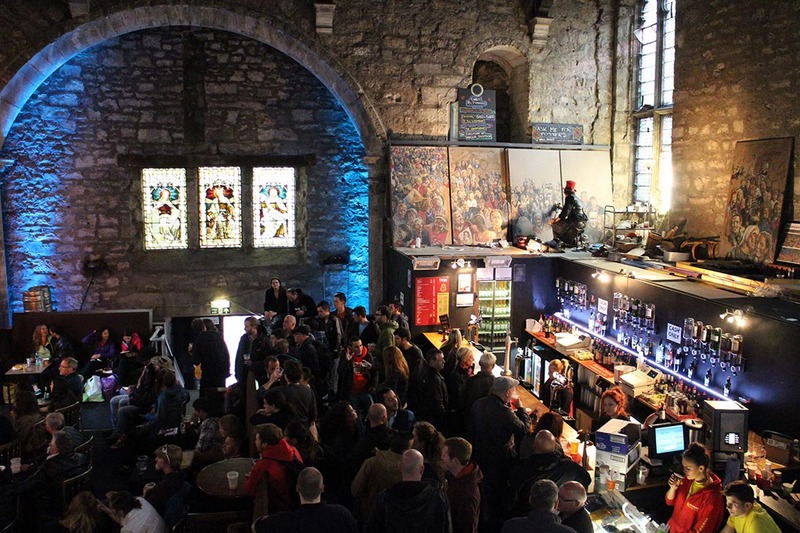 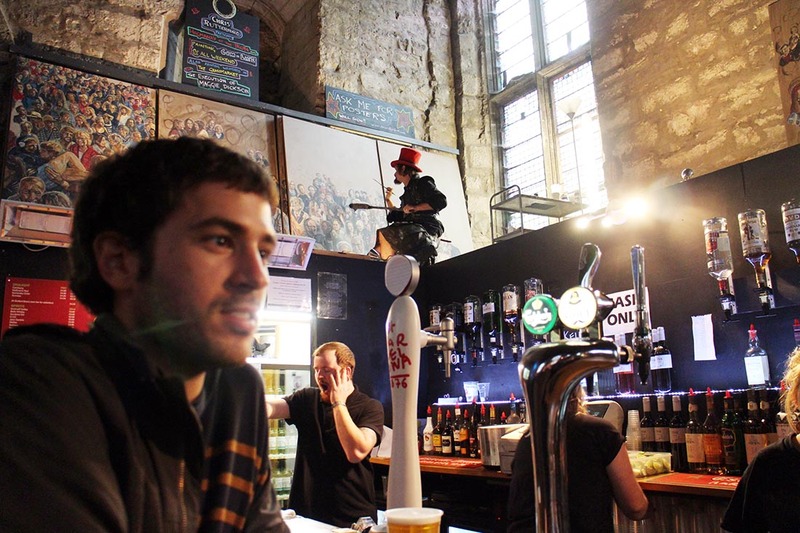 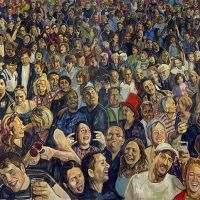 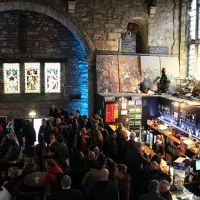 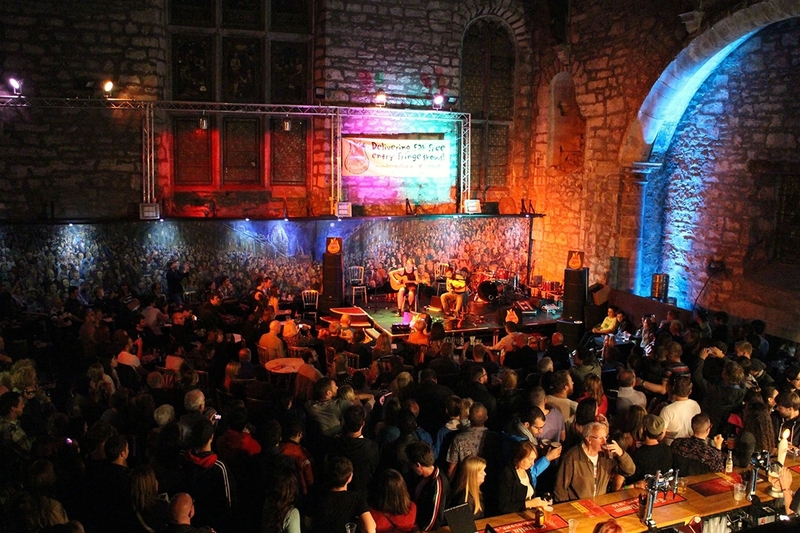 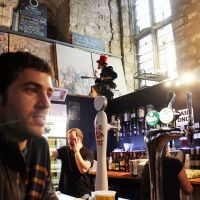 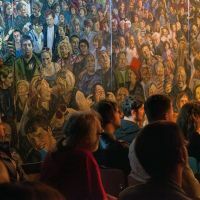 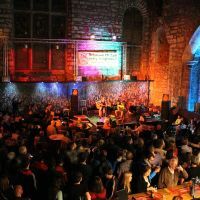 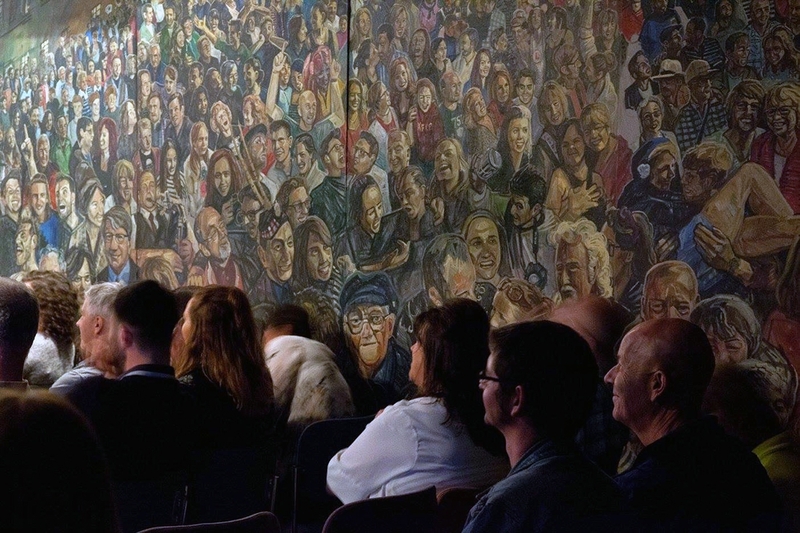 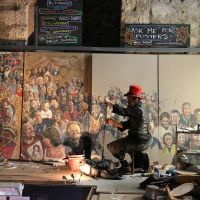 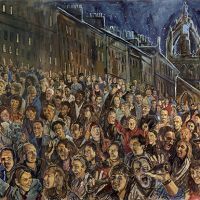 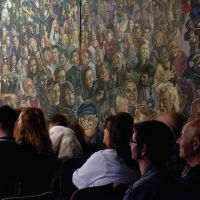 The church was functioning as a bar and music venue at the time and throughout an intense August I built a 15 metre mural depicting a classic night time street party. 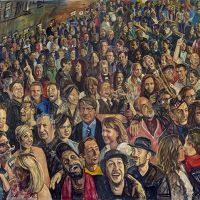 Throughout the month, from 10 am to 2 am, I painted visitors to the venue into the scene until the picture featured around 3000 portraits.